A SMALL ORGANIZING TIP THAT'S AN EASY D.I.Y. SMALL SPACE ACCENTS: Mix It Up! LLS IS MOVING BUT STILL LIVING SMALL! 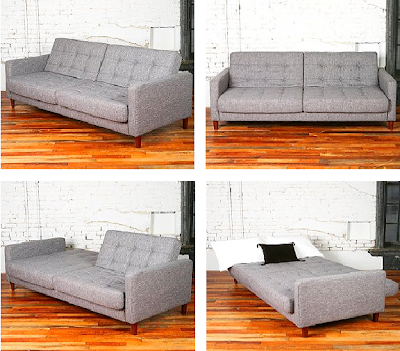 4 Responses to "CONSIDERING A CONVERTIBLE SOFA"
is this from urban outfitters? if so, I don't recommend it.I have it and you have to put it together yourself and it's not soft and comfy. If I had the choice again, I wouldn't buy this. Thanks for the tip, Anonymous. I was looking at the couch on the UO site but thanks to your tip, I may pass. I like this blog. It's really helpful :) Nice job.